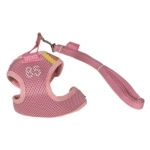 In our catalog you can find different models of dog Harnesses, both for small dogs and for medium and large dogs. 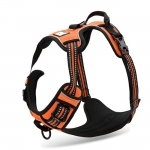 The advantage of using the harnesses is to not fatigue the structure of the dog's neck, especially if it tends to pull. 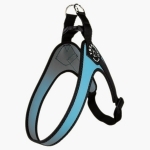 They embrace the dog's chest, and discharge any pressure on it. 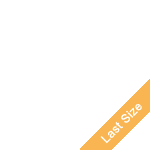 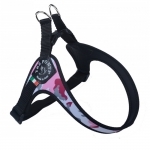 Most of the dog harnesses present in our catalogue are for small dogs (chihuahua, maltese, poodle) but there are also models and sizes dog harnesses even for larger dogs. 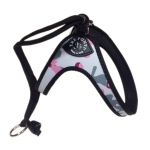 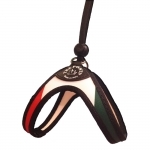 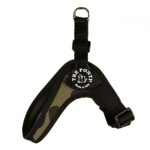 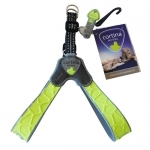 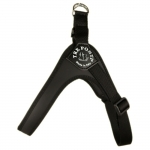 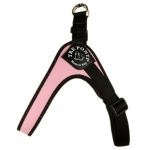 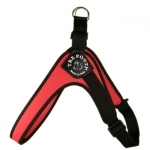 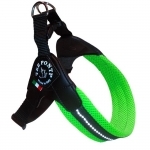 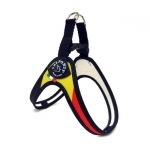 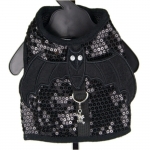 Each harness is available in different sizes to ensure the best fit for your dog. 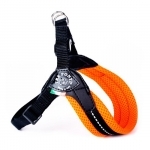 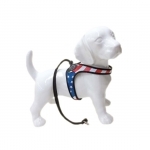 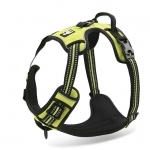 In addition, the dog harnesses in our catalog are all adjustable, ergonomic and durable. 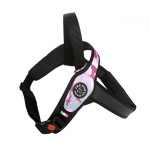 Pink Camouflage Harness for a big size dog, very practical: in just two minutes your dog is ready to go out with you for a walk! 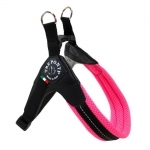 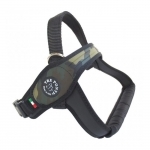 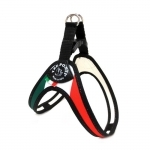 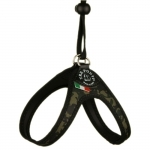 Dog Harness in Black color for small and medium sized dogs, handmade in Italy; very practical: your dog is ready to go out for a walk in just 1 click! 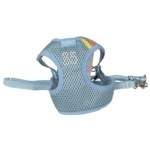 Dog Harness in Blue color for small and medium sized dogs, handmade in Italy; very practical: your dog is ready to go out for a walk in just 1 click! 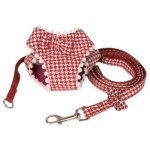 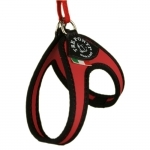 Dog Harness in Red color for small and medium sized dogs, handmade in Italy; very practical: your dog is ready to go out for a walk in just 1 click!